Volunteer to paint bag to raise fund to support child development continue for many years to support necessary items to the Centre for underprivileged children and the Community Learning Center. We, this year, extend support to cover diverse children’s issues, not only in the Center for underprivileged children in the city and in the provinces but other groups, because the context and the situation in the country and in the ASEAN has been changed to the work space issues. We will then support a wider range of children and youth, such as covering children in evacuation centers, Child migration, Child labor and child living in a construction site, those are both Thai children and migrant children. Anyhow, both these The Center for underprivileged children, and learning center in the community still be supported because we still have disadvantaged children center and Learning Center in many communities lacking the necessary things such as needed daily. Food, rice, equipment, instructional media, consumer and other necessary support such as school building, permanent teacher for school, … We remain committed and continue to strive our little power to deliver care and support for the disadvantaged groups above thru our “Volunteer to paint bag to raise fund to support child development”. 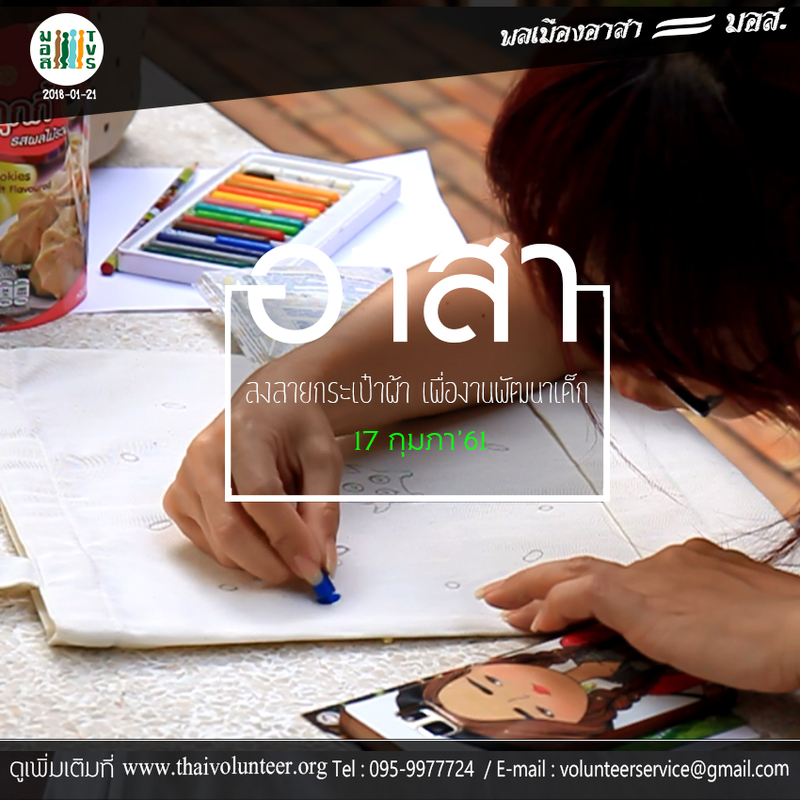 The activity open opportunity and space for those volunteer who would like to share their volunteer spirit coming together as well as get chance to learn society and building better society.